Every car fanatic has their one car they hold in higher esteem than any other, a kind of hero if you like. One definition I found in the dictionary for ‘hero’ was the following: ‘a warrior-chieftain of special strength, courage, or ability’. 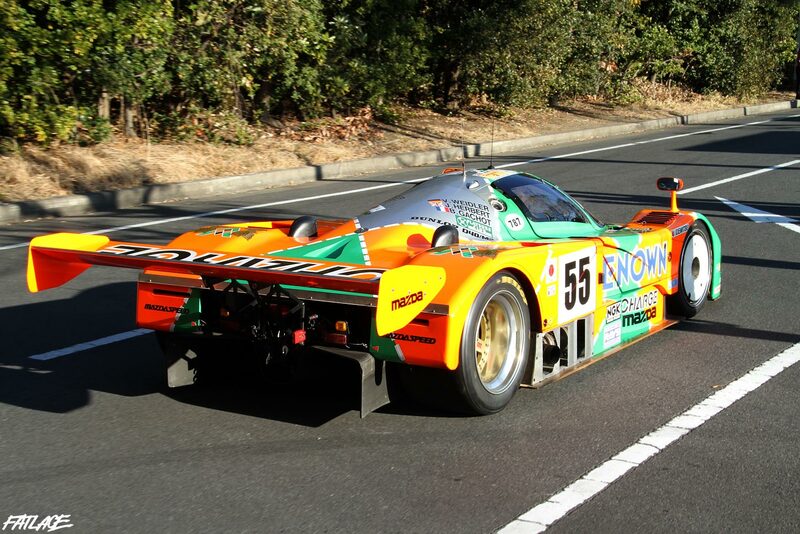 I think that is a very good way of describing the Mazda 787B, my own automotive hero. The 787B is certainly a car that needs no introduction, already one of the most well known racecars ever, this giant-killer went to the 1991 LeMans 24-hour enduro with one purpose. That was to squash the competition and do it as the underdog. 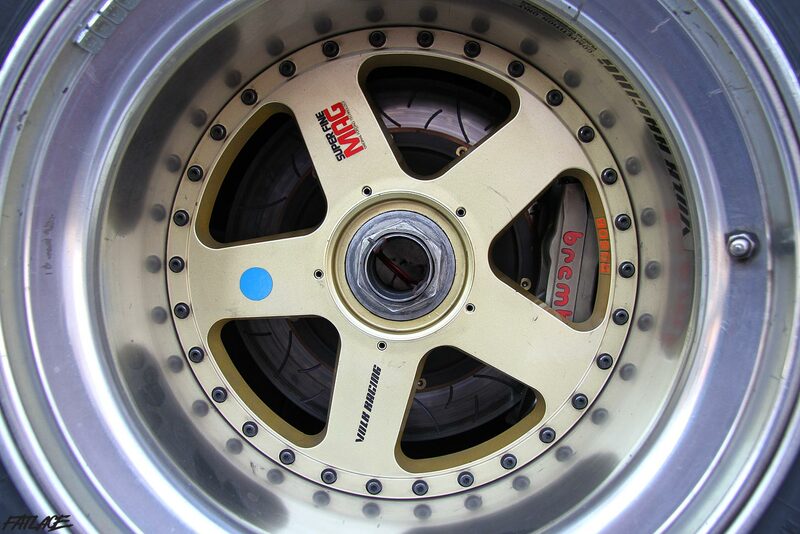 Powered by a R26B quad-rotor engine, Mazda was confident that their collaboration with Mazdaspeed would be a powerful competitor for the 3.5l competition. The 787B was built as a ‘one-shot wonder’ by the team as the following year only 3.5l piston engines would be eligible for entry. 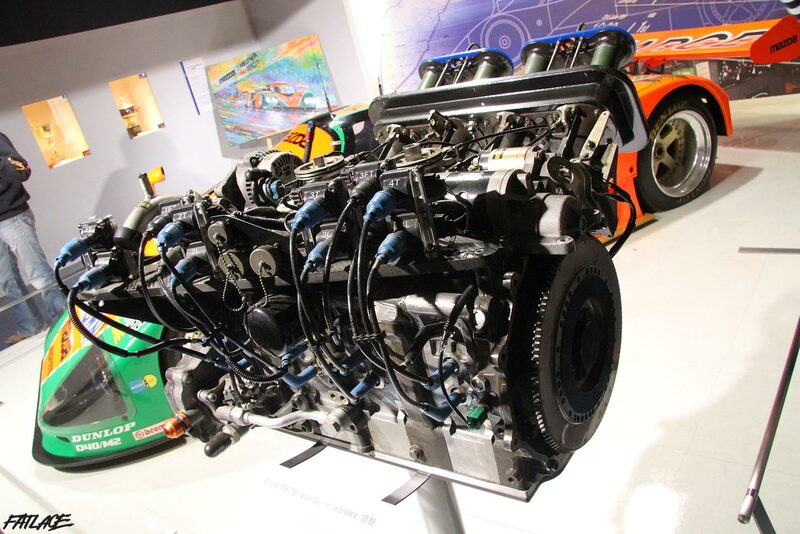 The longitudinally mounted engine was capable of producing 700BHP, as well as a noise that is still remembered by anyone who was fortunate enough to hear it. It’s one thing to see an example of such an iconic racecar but I knew very well that sitting in front of me was the actual 787B that entered LeMans. 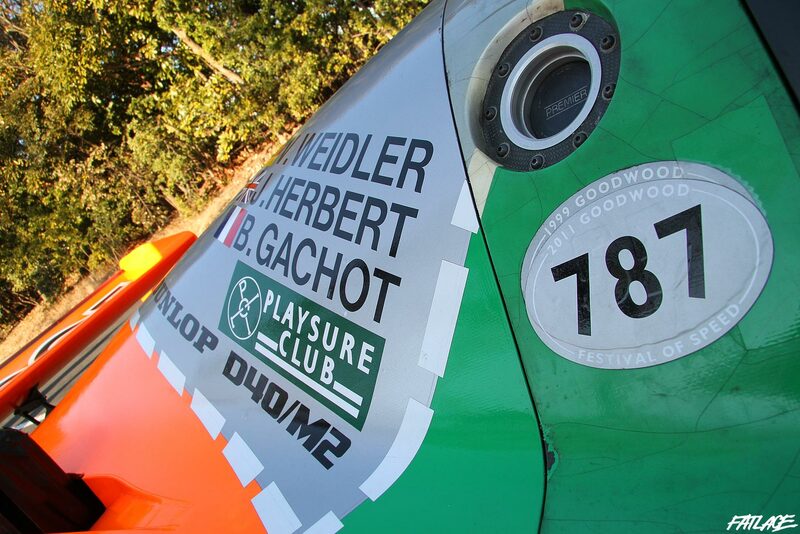 This car was thrashed for 4932km around the Circuit de la Sarthe and performed faultlessly. 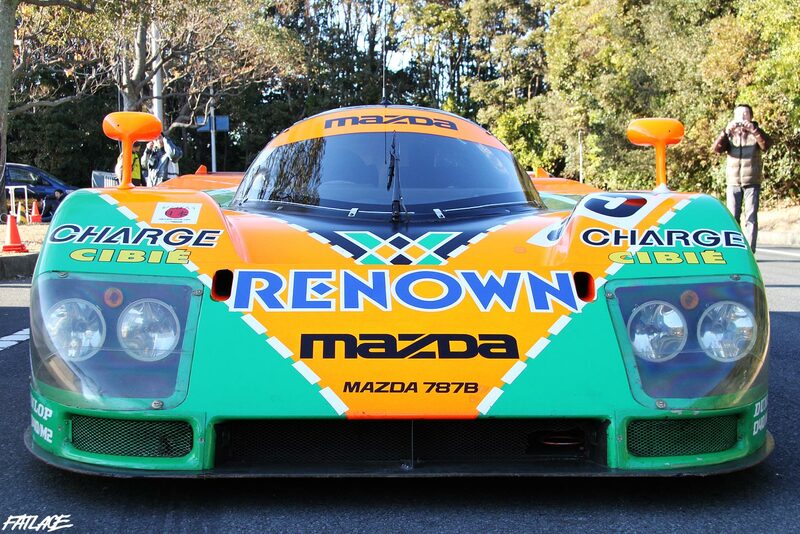 Since then #55 787B has been tucked away, the apple of Mazda’s eye is rarely seen out of the museum now. I have seen videos, photos, and all kinds of media however soon I was to hear this car get turned over and driven in public for the first time in 21 years. 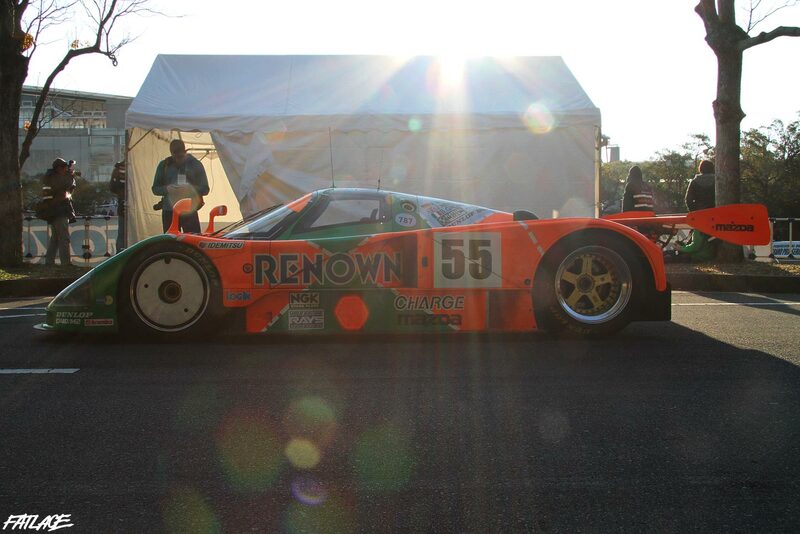 Mazda had just completed their full rebuild on the car and this was the Japanese unveil of #55. If it sounded as good as it looked then I knew I wouldn’t be disappointed. In 1991 3 of these cars were entered in an all-out assault on LeMans. Mazda’s ‘nothing to loose’ philosophy was hammered home when just before the 9 drivers suited up the team manager called a hasty drivers meeting. 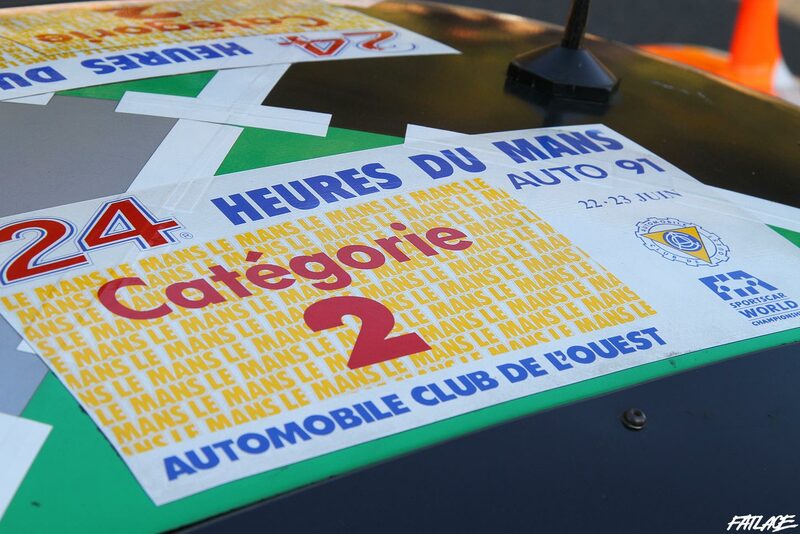 In not so many words they were told that the 24-hour enduro ‘was to be driven at sprint pace until the chequered flag’. The drivers did as they were asked as when Johnny Herbert pulled into the pits after winning he had to be helped from the car after suffering from severe dehydration, missing the winners podium due to needing hospital treatment. The cockpit was certainly built for business and comfort took a backseat. It’s a office of very close quarters and if you have seen the video of Johnny Herbert driving it you can see it’s cramped. 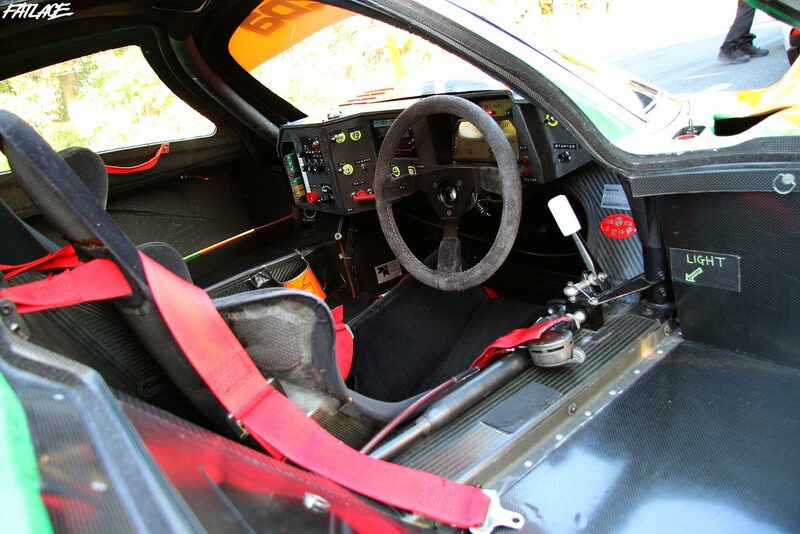 The body weighs in at 840kg and is a carbon and kevlar composite. Of course it was fitting that one man in particular should be the one to terrorise our ears when the engine was fired into life. 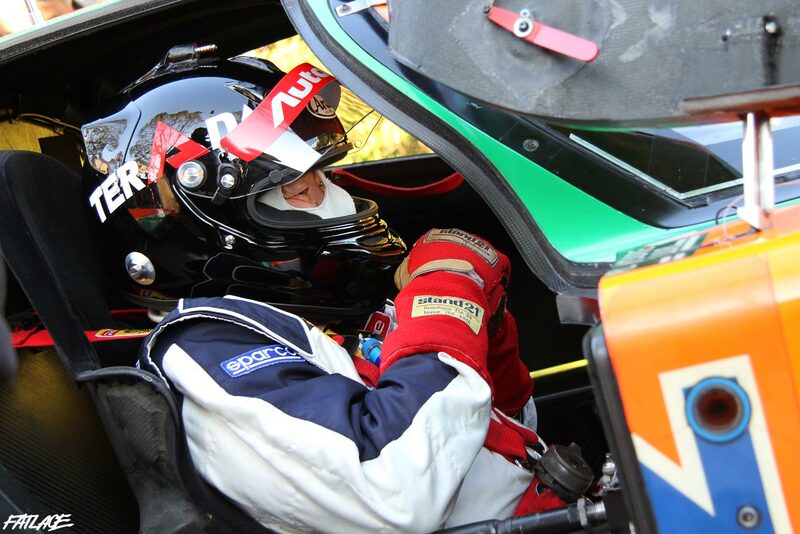 Yojiro Terada who piloted one of the 1991 cars was on hand to be reunited with a car that he pedalled 21 years prior. Understandably he was quite quiet and reserved after being belted in awaiting the call to ‘fire it up’. Finally the call was made, a eerie silence fell over the crowd as all of a sudden the air was filled with a short, sharp scream followed by a impatiently quick idle and then plenty of throttle. It’s a sound that can’t be described, my ears were being abused and serenaded at the same time. They say this is a car that you will never forget, they sure were right about that. 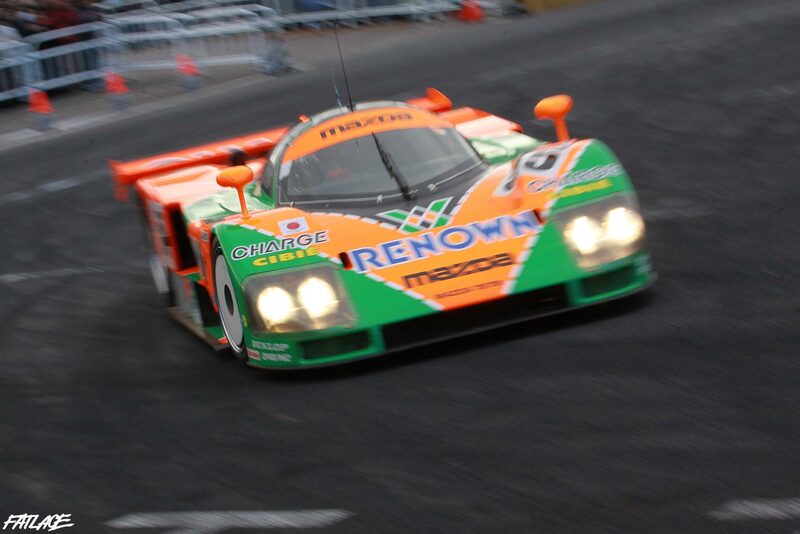 You just know the as the years roll on the Mazda 787B is going to grow in size as the legendary beast that came, saw, and conquered the competition, and the Circuit de la Sarthe. If you need some heavenly noise now, just click the play button!